Is Carlos Hyde being overvalued in dynasty leagues? In this edition, we take you inside the NFC West. 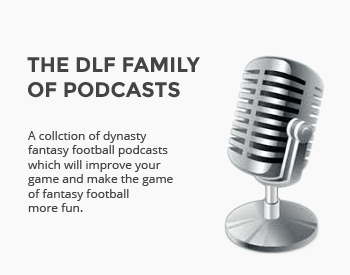 We crank open a super-sized edition of the DLF Mailbag. Just who could be a sleeper candidate to crack next year's dynasty first round? We continue to scour through the DLF Mailbag. We bring you the best from this week on twitter. We continue our exercise in ranking the last two draft classes AND the next one. We focus on boom or bust prospect Mike Davis. With the NFL Scouting Combine around the corner, we give you some important tips.